The following is an adaptation of the Padagogy Wheel developed by Allan Carrington of the University of Adelaide which was in turn built upon the work of Sharon Artley. 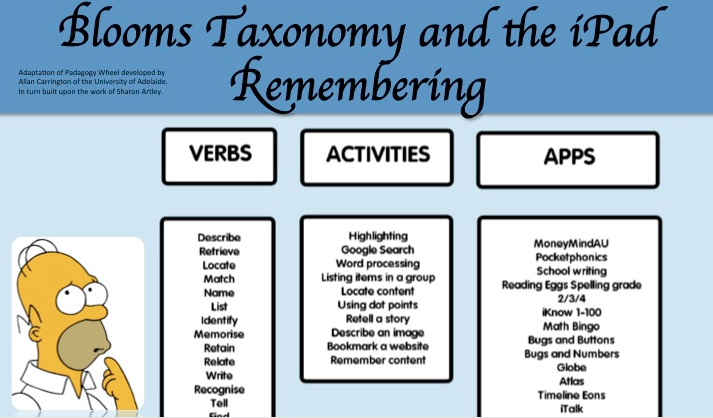 Many others have adapted this idea to suit the applications being used by their students on iPads. 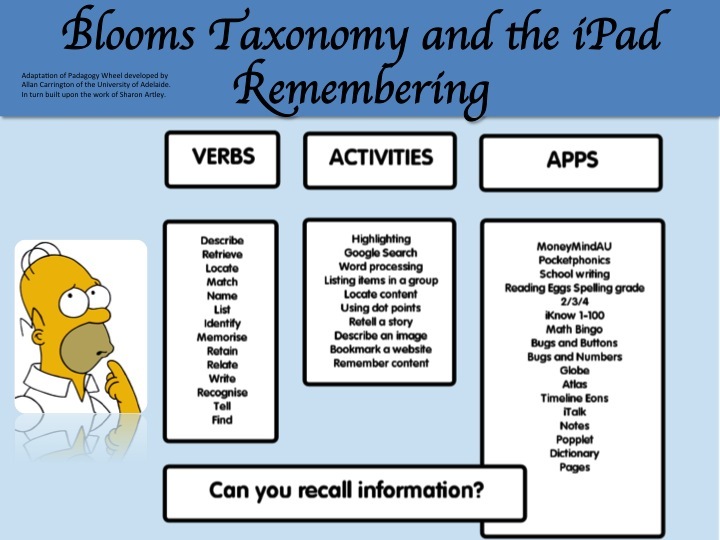 I recently received a version created by Unley High School and decided to create a set of posters for PBAS linking Blooms Taxonomy and our iPad apps (posters are up in the staffroom). When you use the iPads does this use fall into one or two areas only? 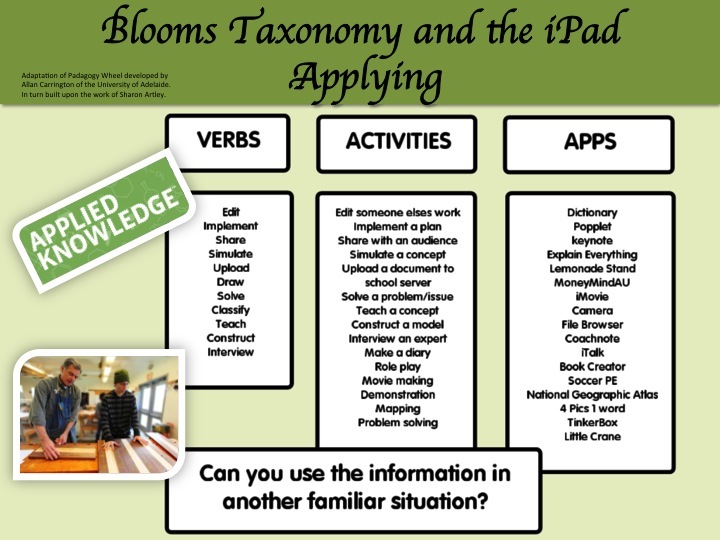 Can you create a single task using the iPad that allow students to work within different levels in Blooms depending on ability? 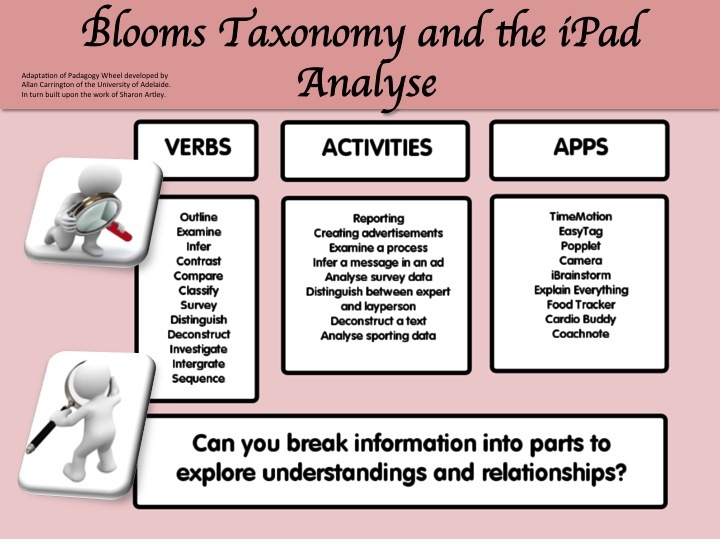 How could you use the iPads to move students into the higher order thinking skills of analyse, evaluate and create? All the apps listed below are on our iPads. 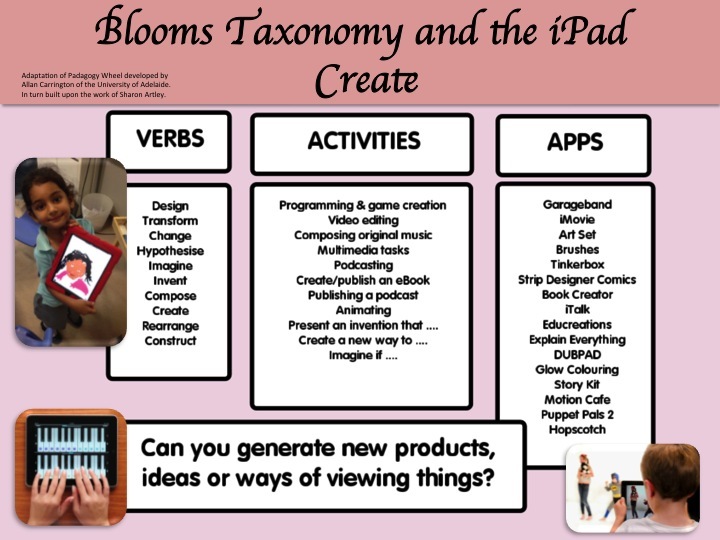 There are a couple that have been added since which fall nicely into the apply, evaluate and create categories of Blooms these include Daisy the Dinosaur and Kodable both coding/programming apps. 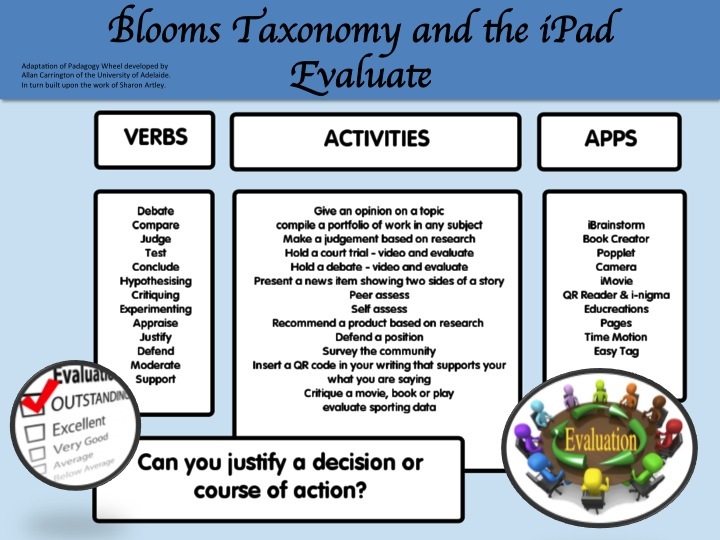 Click here to see a range of posts on various iPad apps (listed on the posters) and how they might be applied in the classroom. 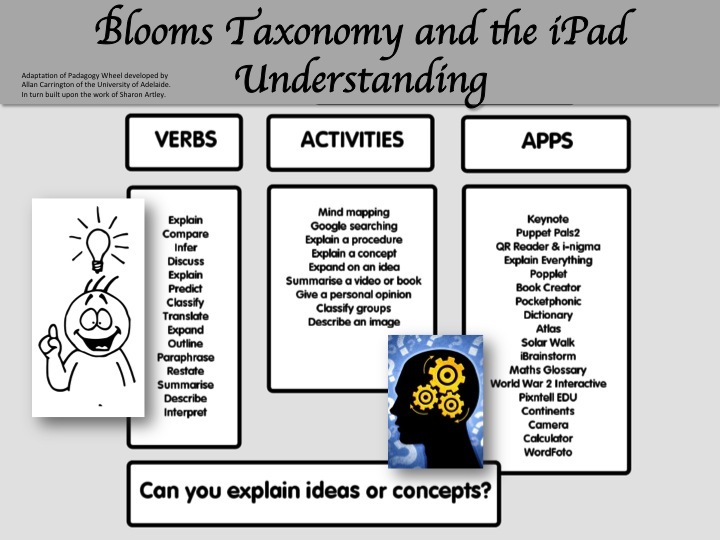 This entry was posted in iPad Apps, Pedagogy, Resources, Technology and tagged Blooms Taxonomy, iPad, iPad apps, resources.